Place sprinkles on a small plate. Wet the rims of the martini glasses and swirl glasses in sprinkles to coat rims. Pour vodka, butterscotch schnapps, and milk into a shaker filled with ice. Shake well. 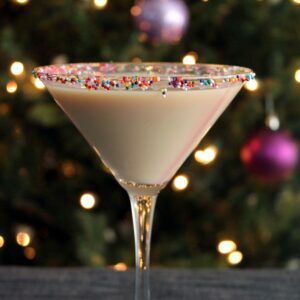 Pour mixture into sprinkle-rimmed cocktail glasses and enjoy!